Be it foundation, BB cream, CC cream, tinted moisturiser, I need it on my face to look like a human person. It was far from foundation brushes I was raised and back in the day, I used to use makeup sponges until they were on their last legs and probably gave me skin infections from being so grotty. Nowadays there are so many tools on the market that make it so much easier to create the flawless base we all want. Here's my rundown on the ones I've tried and hopefully you'll find one that works for you. Ah, the tools that God gave us. 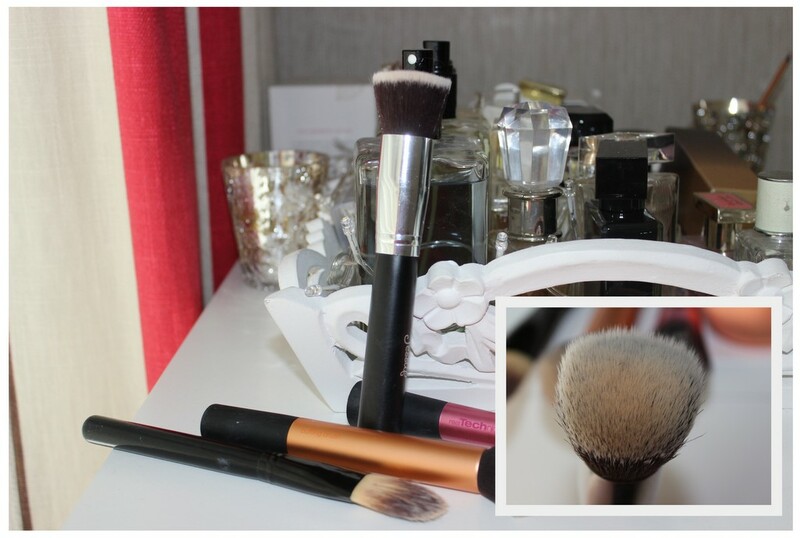 They're free, always there and are so much easier to clean than brushes. When I use my fingers to apply my base, I always get more sheer coverage, so I generally only use my fingers when I'm having a really good skin day or if all my brushes are so manky and dirty that I have no other choice. 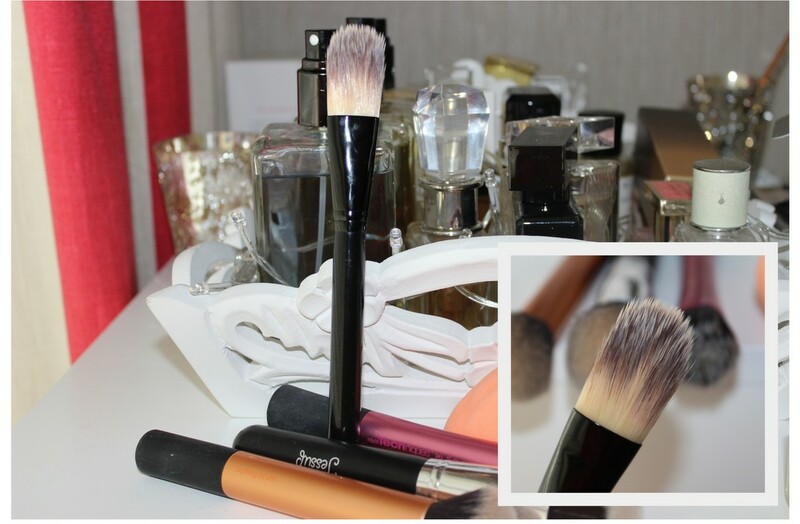 This was the first type of brush I ever used to apply foundation way back when. It's grand for giving precise application but it takes too long to apply the product onto my skin and I can't really work it in properly either with it. I've gotten my makeup done on department store counters and every time they use one of these on me, I'm left with thick, streaky foundation all over and end up having to use my fingers to blend it in. I'd use this if I was applying a light coverage product. This is a great type of brush to apply the product and work it into the skin without much hassle at all. I always find that a lot of product gets sucked up into the bristles the first couple of times I use it and when it's nice and clean, but if you're looking for something that's no muss no fuss, then a flat topped kabuki brush is the way to go. I've been using this one I bought from a set on Ebay before Christmas and it's fantastic. It works on liquid, cream and mousse products easily and you can't go wrong with it. The Real Techniques Stippling Brush is a smaller, less dense version of a kabuki brush and while it's great for applying and blending the product in, because it's so small, it seems to take me ages to work everything into the skin. However it's smaller size does make it easy to get into all the nooks and crannies of the face, namely the sides of my schnozz and under the eyes. I prefer using the stippling brush for working cream blushes into the skin and it gives a flawless finish folks. We like flawless finishes when it comes to blushes don't we? I picked up the Real Techniques Miracle Complexion Sponge a few weeks ago on Cloud10Beauty after reading and seeing lots of reviews on it. I think it transported me back to the days of my triangular makeup sponges and I'm not like Cher, I don't want to Turn Back Time. This just wasn't for me because a) it seemed to soak up so much product, b) it took ages to do my whole face, c) left me with an uneven finish and d) had this song in my head every single time I used it. I haven't tried it with cream or liquid blushes yet, but I'll give it a go and see how I get on. As I said, lots of people love this but alas, not moi. I've saved the best until last. The Real Techniques Buffing Brush is the best foundation brush hands down for me. I can't fault it at all, other than I wish it was self cleaning, but you can't win 'em all. It doesn't eat all of the foundation as I'm trying to apply it, gives the perfect level of coverage, is soft yet dense, blends everything away effortlessly and is The Business. For me, this is my Holy Grail foundation brush and it's going to take something special (and self cleaning) to knock it off it's perch. What's your favourite tool for foundation? Do tell! Oooh love this post! 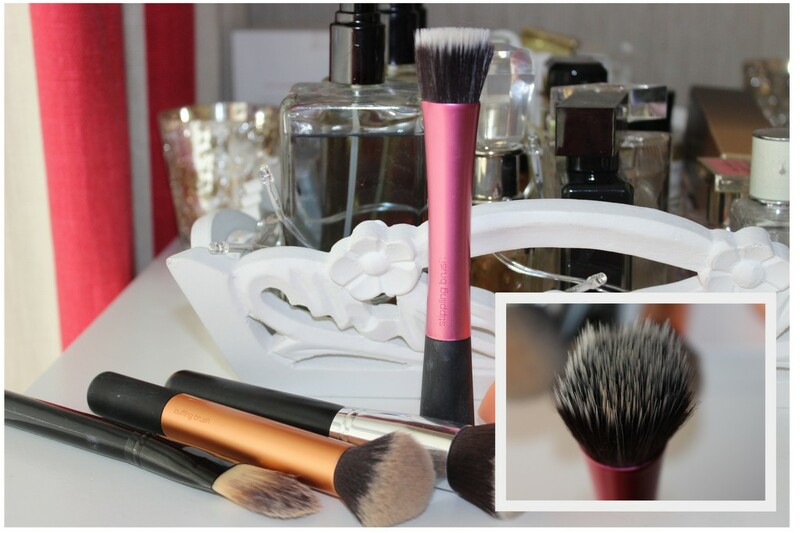 Cannot live without Real Techniques Buffing Brush! 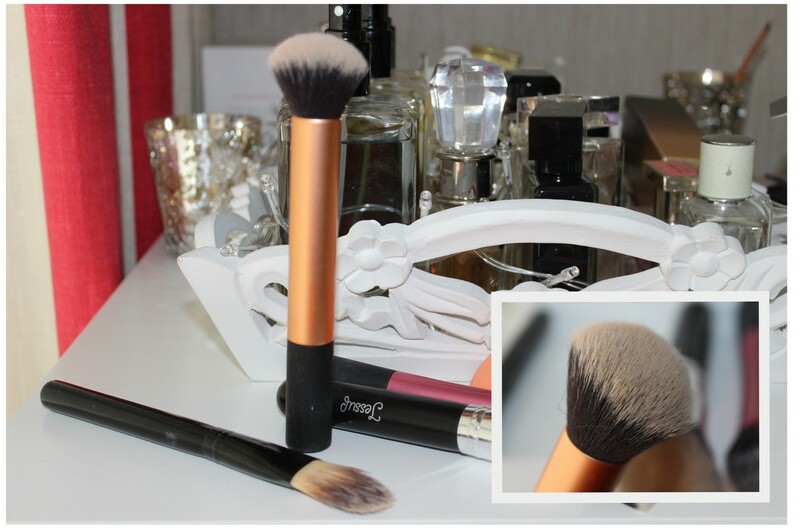 Have you tried the Elf powder brush, I use it for foundation ...Amazing! I'm all about the fingers! I've just picked up the Real Techniques Sponge - disappointed to read you didn't particularly like it! Had high hopes for it! I'm never consistent wit the tools that I use - It really depends on the product I'm using and the finish I'm looking for. I'm using my fingers a lot lately. I love the real techniques brushes are great! I knwo what you mean about the RT Sponge. I like the finish it gives for some foundations but I end up using loads of foundation when I use it. My holy grail is also the RT buffing brush! It's class!